hey y’all! i have a light post for you today! i wanted to talk about a new brand of workout clothes that i’ve recently been introduced to: my manifesta! so, i was recently contacted by rachel of my manifesta to see if i wanted to try out of their workout clothes. initially, i was hesitant because i had recently ordered some clothes from fabletics that were SUPER cute, but just didn’t fit my body well. the shirt continued to ride up and the pants gave me a muffin top, which is something i’m not used to, since i usually wear old navy fold over pants. i went onto the my manifesta site and started to do my research and i have to say, i was pleasantly surprised! rachel was struggling with the same things i had felt when wearing my fabletics outfit in the gym. clothes just weren’t working with our curves like they were meant to, since most companies design their clothes based on a size 4/6 women and just add fabric for bigger sizes. she took action and got body measurements from women of all sizes and surveyed what women actually wanted. she didn’t base her sizes off smaller sizes, and used models sized 2/4 – 22/24 to make adjustments to fit every woman. after reading that, i was sold. i also love that i could get the word out about a small business, since i come from a family that owns their own small business. when i received my outfit, i was ecstatic! it fit perfectly and emphasized everything i wanted, while camouflaging what i wanted to hide. the material is super silky, and i also love that the tank i received, the Sweet Angel Tank, had a built in bra. 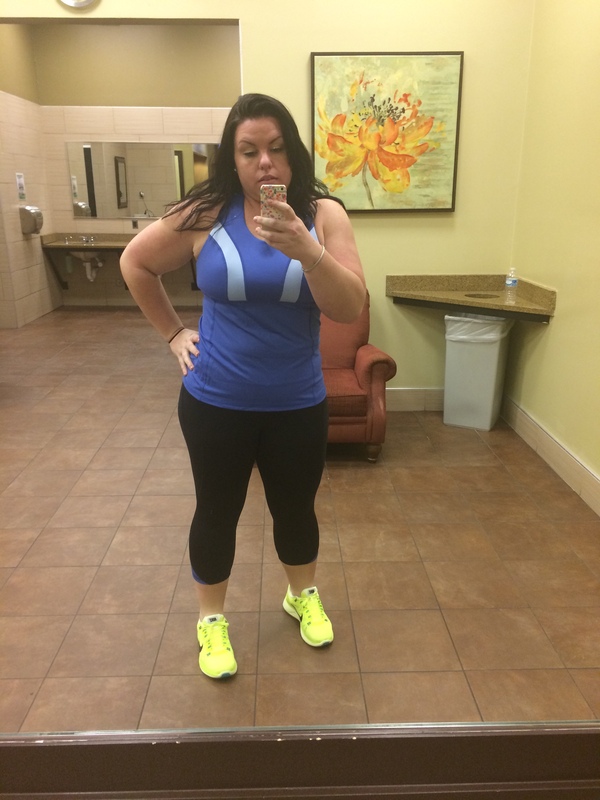 it gave me a little something extra that sport bras usually flatten out! i also can’t say enough about the Sorry Not Sorry capris. they fit all my junk in the trunk, perfectly, and i was able to move about during my workout without having to constantly tug at my pants. 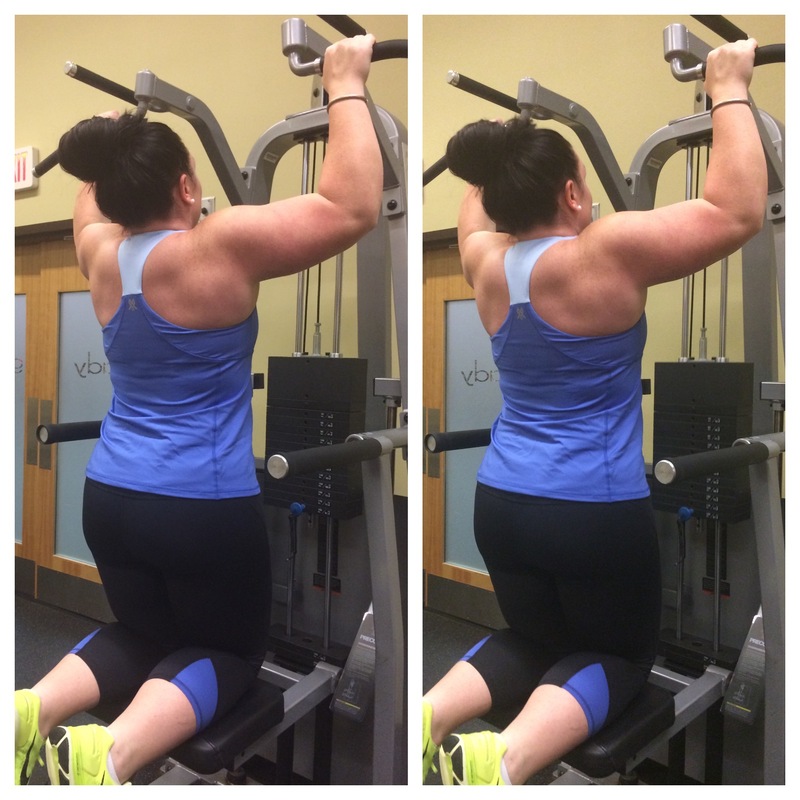 i went from rows to push-ups with no backside flashing! i could probably write 3 more pages about how much i love this outfit, but i will spare you. 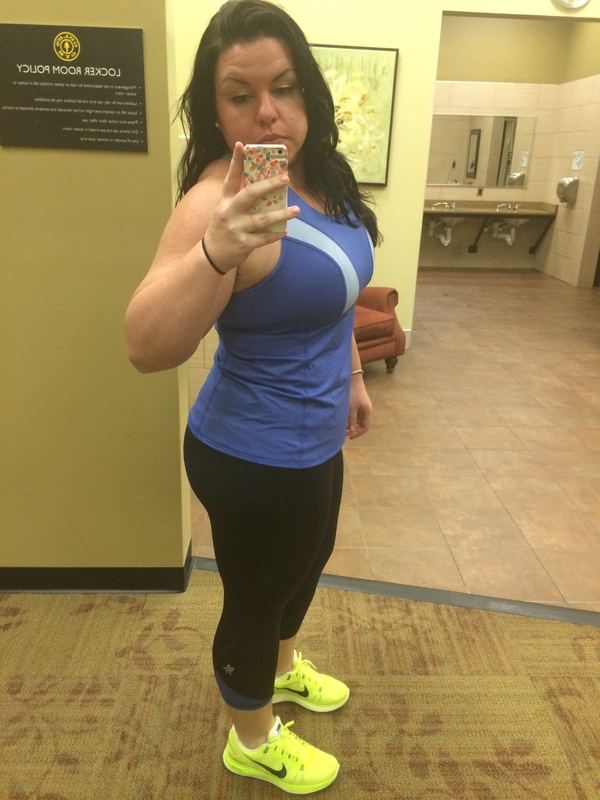 if you’re looking for good quality workout clothes, i without a doubt recommend my manifesta! they’re also made in america, which i love! so, i’ll finish my rambling and leave you with a few pictures, pre-workout and during my workout! annnnnddddd!!! my manifesta was kind enough to make a promo code for my readers! use the code SweatyBetty for 25% off your purchase! you wont regret it! i promise!